Let’s face it– stress is universal, and we all have to experience it in some form or another in our daily lives. At certain times, you may feel stuck in a stressful situation even though you want to flee – a boring job or a torturous relationship. This is when stress becomes chronic and starts chipping away at your emotional and physical health. Although you cannot always control the sources of your stress, you can change the way you react to them. Learning to manage stress can go a long way for your everyday health. 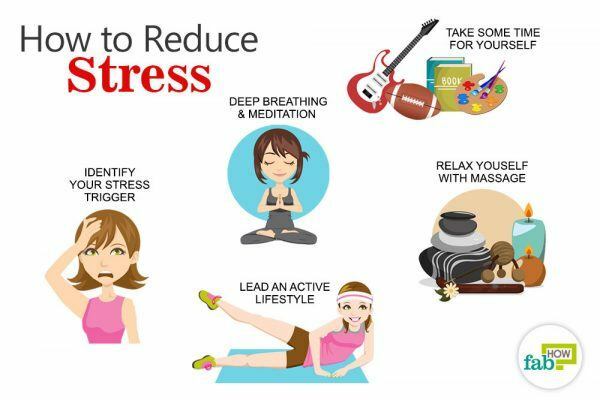 Here are some easy tips to reduce stress. Identify what causes you stress. Notice the circumstances or situations that cause you stress. 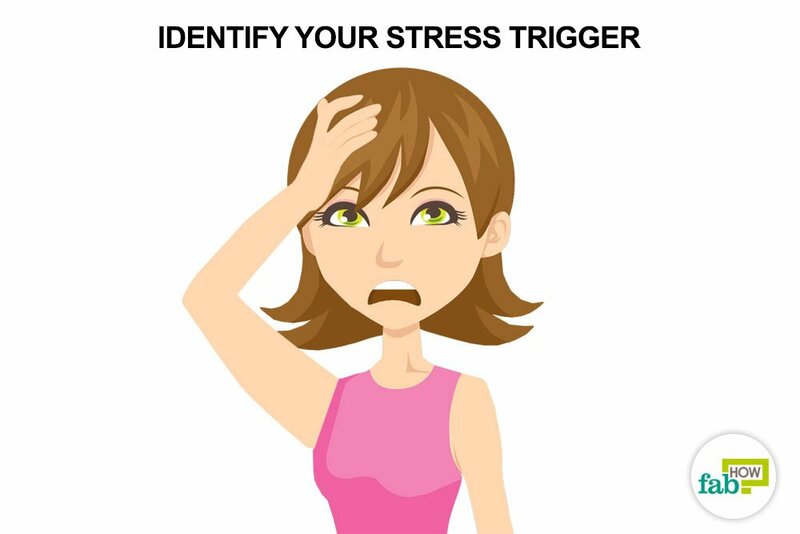 Make a list of situations, challenges, people or environments that trigger your stress response. Once you have done this, it will be easier for you to handle stressful situations. For instance, if there is a certain situation that causes you to stress, you can prepare your brain for the upcoming stress. If there is someone who causes you to fret, tell them how they make you feel in a non-threatening way. If you know you are going to face a stressful situation, prepare for it beforehand. Picture yourself handling the situation successfully. Do not worry about things you cannot change. Accept things and people as they are. Admitting when you cannot change a situation or a person will help you adjust to it, thereby reducing your stress. Step away from the problem. Take some time away from focusing on the problem. Practice yoga, listen to music, meditate or learn relaxation techniques. 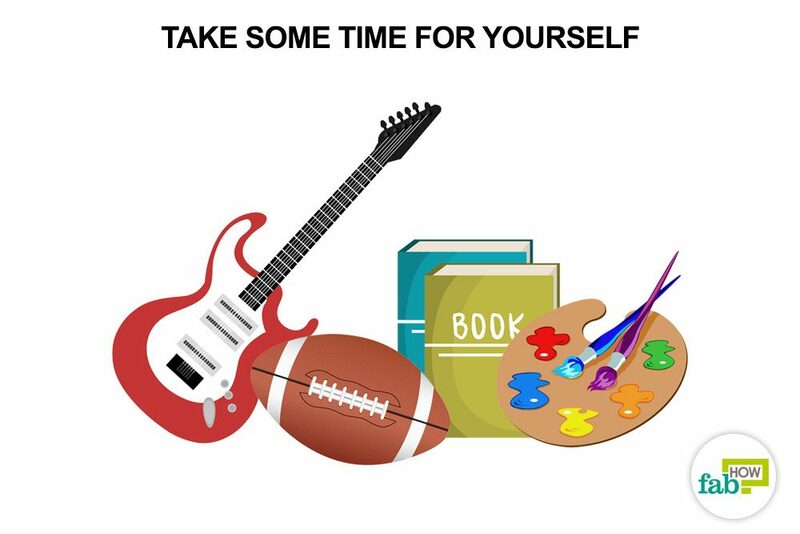 When you take a time-out from a problem, it helps clear your head and even helps you find a resolution. Take control of the situation. If a situation or problem is causing you stress, simply sitting and thinking about it can add to your woes and worsen your stress. Determine if it is one of those things that you cannot change. If it’s not, then take control of the situation. Attempt to change it for the better. The feeling of loss of control can itself stress you out. The act of taking control is empowering and will make you feel relaxed. 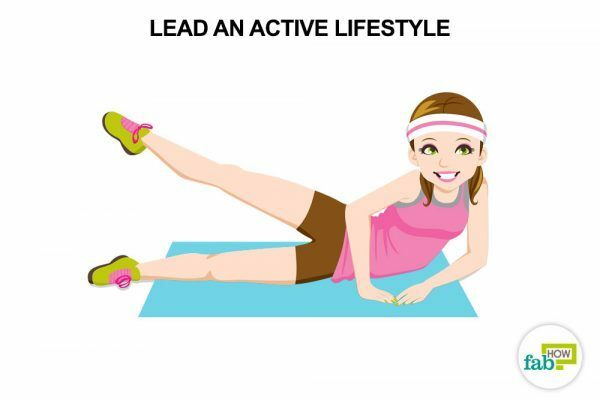 Lead an active lifestyle. Stressful situations can cause your stress hormone levels to rise. Physical activity will help you metabolize those hormones and help clear your thoughts so that you can deal with your problems in a calm and sensible manner. Breathe deeply. Deep breathing is one of the best exercises for reducing stress. Typically when people are stressed, they start taking shallow breaths. Shallow breathing can worsen the physical symptoms of stress. Mantra meditation. Focus on a positive word or phrase. 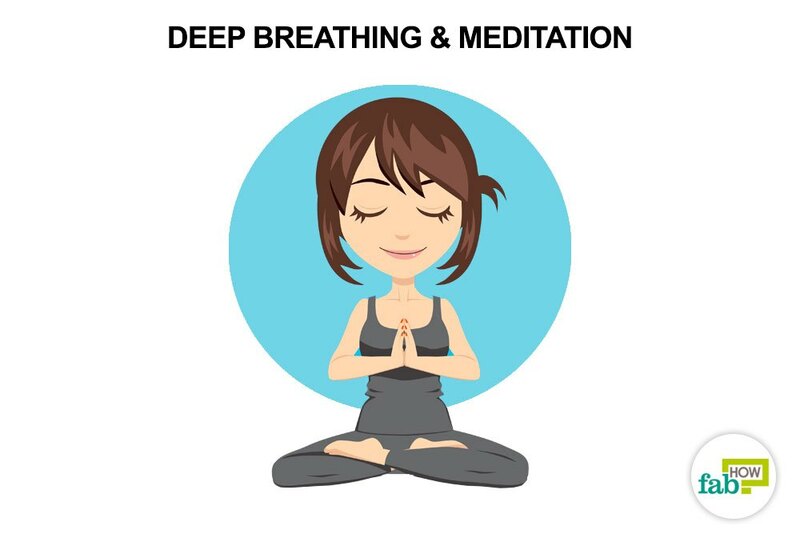 For instance, words like ‘calm,’ ‘relax,’ ‘peace’ or a mantra like ‘I feel relaxed’ or ‘I will be okay’ will make you feel relaxed and reduce your stress. Focus on a self-affirming mantra and when you catch your mind wandering, become aware of the thoughts and return your focus to your chosen word. With practice, you will be able to relax and focus more each time. Be present. Stop and focus on the present. Take 5 minutes to slow down and focus on one thing at a time. Notice the way your feet touch the ground or savor the taste and texture of every bite of your food. 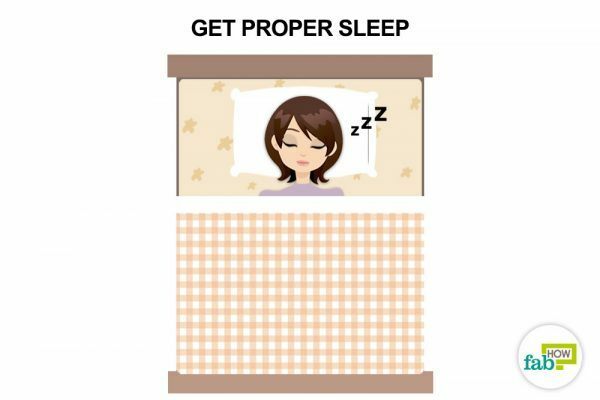 Get proper sleep. Lack of sleep can cause stress. At the same time, when you are stressed, your thoughts keep bothering you and stop you from falling asleep. Try to relax before going to sleep. Keep your bedroom free from stressors. Stop doing any mentally exhausting work several hours before going to bed. Take a warm bath, read a relaxing book or listen to calming music to wind down and relax before bedtime. Journal your stress. When you jot down the situations that cause you to stress, it will help you identify the stressors. Note the time and place where you started feeling stressed, what you were doing, who you were with and how you felt. Use the diary to identify your stress triggers. It will help you avoid stressful situations as well as learn how to cope with them effectively. Listen to music. When stressed, take a break and listen to relaxing music. Research suggests that listening to calm and soothing music has a positive effect on both your body and mind. It can help reduce the stress hormone cortisol in your body and reduce your blood pressure. Learn to laugh it off. Laughter releases endorphins, the natural feel-good chemicals in your body. Endorphins promote an overall sense of well-being. A good, hearty laugh can relax your muscles, improve your mood and reduce the levels of stress hormones. 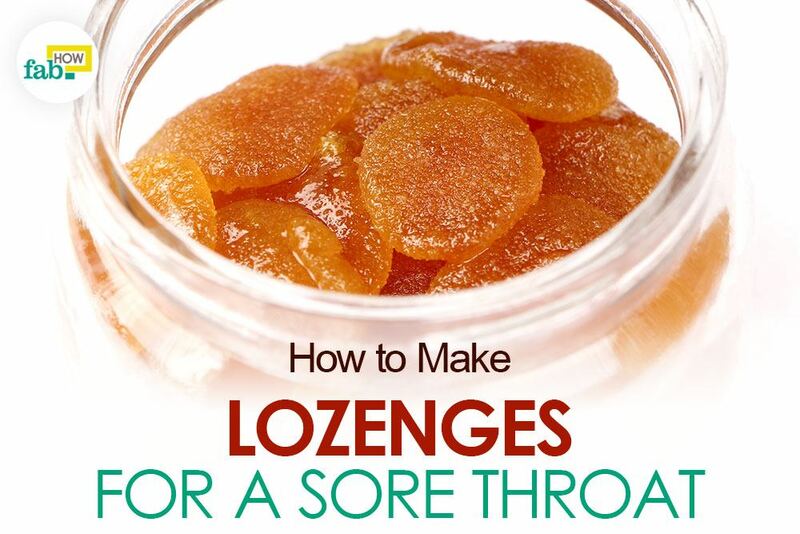 It helps relieve pain, physical tension, and stress. Good laughter makes changes in your body, which are beneficial to your health. Relax with scents. Research suggests that aromatherapy can help reduce stress. Certain aromas like lavender can help you relax and calm your nervous system. Express gratitude. Maintain a gratitude journal to help you remember the things that you are grateful for in life. When you are grateful, it reduces your negative thoughts and worries. Write down your positive experiences, accomplishments, and achievements, things that make you happy – it can be anything from your child’s smile to getting a surprise from your family on your birthday. Whenever you feel stressed, spend a few minutes glancing through your gratitude journal to remind you how beautiful your life is. 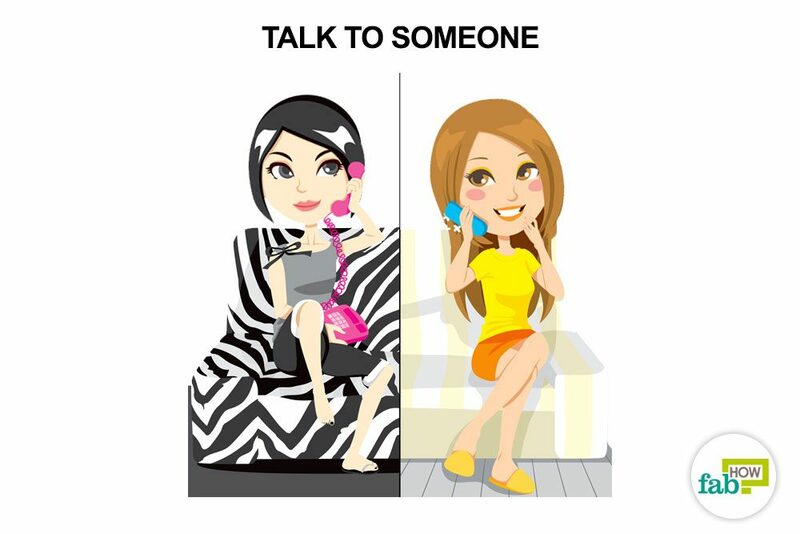 Talk to someone. Although this may sound simple, talking to someone is one of the most effective and easy things to do to reduce stress. Talking about your thoughts and feelings, and explaining your situation can actually help clear your mind. Also, the person you are talking to can help you see a different perspective of the situation. A person outside the situation can also come up with a solution you never thought of. The research, which was conducted to examine the role of social support in mental health & well-being coping strategies, shows that less social support indicates a higher level of stress. Also, the same study reported that a lack of familial support in the study group was related to more stress, and lower life satisfaction, higher levels of problem behavior. (7) If you feel overwhelmed and you can not cope with your problems, or you have suicidal thoughts, you should sick professional help. You can look for mental health professional near you online or you can visit www.nimh.nih.gov/findhelp to find helpful resources. Talk to yourself. Talking to yourself can help you clarify your thoughts, clear your mind and shake off your stress. Self-talk goes a long way to reduce stress. Talk to yourself about why you are stressed and that everything will be okay. Remind yourself of all your past accomplishments. Say no to additional responsibilities. One of the main causes of stress is having too much to do in too little time. Learn to say ‘no’ to additional responsibilities and things that don’t matter, so you can focus your energy and time on things you care about. People are usually reluctant to say no out of fear of rejection, a missed opportunity or conflict. Know that all these excuses are self-created. Also, when you respond with a straight ‘no,’ you won’t have to provide an explanation. If you wish to provide a reason, explain it in positive terms. For instance, ‘I am sorry I cannot commit to this as I have other priorities.’ When you are clear and honest, people understand that you are not rejecting them. Time management. Your to-do list can be one of the reasons for your stress. One of the most effective ways to reduce stress is prioritizing your to-do list. Create lists of things to be done in order of priority. Make a list of tasks that are urgent. The less important tasks can be on a list for the next week or next month. Also, don’t forget to delegate tasks to others when possible. Successful time management can help you complete tasks in a timely manner, which can further help reduce stress. Take some time out for yourself. No matter how busy you are, take out some time for yourself. Do things that you love doing. Dedicate some time every week for socializing, relaxation or doing your favorite activities. Set aside time to do things you enjoy. 20. Get a massage. When under stress, get a good rub down of your body. 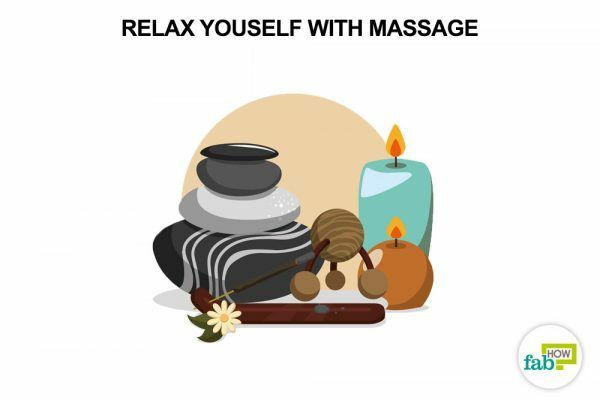 Massage increases your body's levels of oxytocin and serotonin, which results in lowered stress. 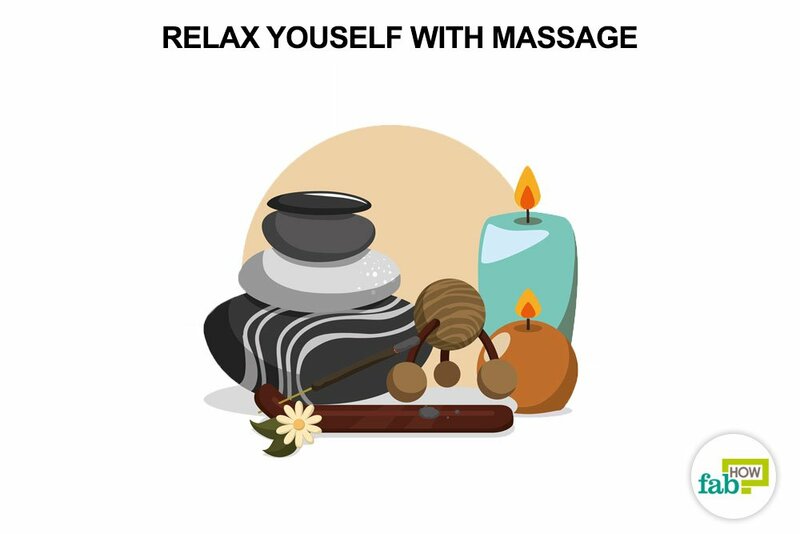 Massage helps you relax, which further lowers your body pressure and elevates your mood. 21. Learn something new. When you learn something new, you gain knowledge, and this helps build your confidence. Also, learning something new will take your mind off of whatever is bothering you. 22. Eat a well-balanced diet. When stressed, people often turn to comfort foods like sugary, fatty snack foods. These foods can make you feel lethargic and weaken your body’s ability to fight disease. Instead, go for low-fat, high-fiber, carbohydrate-rich meals like baked sweet potatoes, minestrone or sautéed vegetables over rice. Consume vegetables and fruits like carrots, squash and citrus fruits rich in vitamin C, as they help you fight stress. Fish with high levels of omega-3 fatty acids are also good to reduce symptoms of stress. 23. Avoid unhealthy habits. Reduce your consumption of caffeine and nicotine. They are stimulants and raise your stress levels. Although alcohol is a depressant when taken in large amounts, it can act as a stimulant when taken in small quantities. So, drinking to reduce stress will not be helpful. Swap your coffee and alcohol for herbal teas or natural fruit juices. 24. Drink green tea. Green tea contains less caffeine than coffee and healthy antioxidants that help calm your nervous system. 25. Chew gum. Pop a piece of gum in your mouth and chew your stress away. Research suggests that chewing gum can reduce the stress hormone cortisol instantly. 26. Help others. Try to help others through volunteering, charity or other community work. Even if you do not want to get involved in volunteering, you can help others by doing small acts of kindness in your everyday life. For instance, help someone cross the road or donate warm clothes for homeless people in the winter. When you help people who are in worse situations than yours, it helps you look at your problems with a different perspective. Physical Activity Guidelines for Americans. Chapter 6 Fats. https://health.gov/paguidelines/2008/. Published 2008. Asmundson GJ, Fetzner MG, Deboer LB, Powers MB, Otto MW, Smits JA. Let's get physical: a contemporary review of the anxiolytic effects of exercise for anxiety and its disorders. Depression and Anxiety. https://www.ncbi.nlm.nih.gov/pubmed/23300122. Published April 2013. Merom D, Phongsavan P, Wagner R, et al. Promoting walking as an adjunct intervention to group cognitive behavioral therapy for anxiety disorders--a pilot group randomized trial. Journal of Anxiety Disorders. https://www.ncbi.nlm.nih.gov/pubmed/17988832. Published August 2008. Ensari I, Greenlee TA, Motl RW, Petruzzello SJ. Meta-analysis of acute exercise effects on state anxiety: an update of randomized controlled trials over the past 25 years. Depression and Anxiety. https://www.ncbi.nlm.nih.gov/pubmed/25899389. Published August 2015. Herring MP, Monroe DC, Gordon BR, Hallgren M, Campbell MJ. Acute Exercise Effects among Young Adults with Analog Generalized Anxiety Disorder. Medicine and science in sports and exercise. https://www.ncbi.nlm.nih.gov/pubmed/30531490. Published December 5, 2018. Wachholtz AB, Pargament KI. Is spirituality a critical ingredient of meditation? Comparing the effects of spiritual meditation, secular meditation, and relaxation on spiritual, psychological, cardiac, and pain outcomes. Journal of Behavioral Medicine. https://www.ncbi.nlm.nih.gov/pubmed/16049627. Published August 2005. Baqutayan SMS. Stress and Social Support - ResearchGate. Indian Journal of Psychological Medicine. https://www.researchgate.net/publication/51737288_Stress_and_Social_Support. Published March 2011. Really good ideas,I have had a Panic attack.Need ways to do proper breathing as it has affected my blood pressure. In addition, exercises are very helpful to reduce stress. They not only reduce your stress but also increase new thoughts, feelings and images, and improve your memory. Doing regular exercises you can easily focus on your goal.